Take a look at these home remodeling ideas to spark creativity for your own DIY low cost remodeling projects using recycled wood, antiques, natural building materials, etc. There are hundreds of similar ideas to consider. It’s endless really. Besides searching online, another source of design inspiration is home design magazines. Sometimes you can buy them by the box at yard sales for pennies on the dollar. Love these! I keep a list of my favorite ideas, and a pillow room is totally on the list. Was I the only one picturing cat doors into wall spaces when they said “In wall pest control”? love this! will add door with shelves! why not! I prefer ideas suited to those of us (who are many) that have very little money, never mind pretty small houses to start with – i.e. sufficient attic space? Not. Stairs? Not. And what is this with TWO dishwashers?! I stopped watching after that. Two dishwashers? That’d be me and my spouse. I liked the soundtrack, though. This is an opportunity to stimulate the imagination. There are no videos like this to my knowledge on remodeling super low cost houses. So if something is strange then just ignore it. When I watched the video I put things in categories: kitchen ideas, loft ideas, stair ideas, etc. and then started thinking about how these things can be applied to my house or the house I’m designing. Do the same thing with home design and remodeling magazines. Of course they always choose big beautiful homes for the photo shoots. But you can glean tons of ideas and apply them to your life with a bit of imagination. Great ideas for using under-stairs space. If a dog lives in there, though, leave access to clean it out fully or it will smell after a while. Over-stairs great – I’m going to do that myself – but if one wall is not structural load bearing, then give extra support to that side e.g. by using a couple of vertical timbers under it. 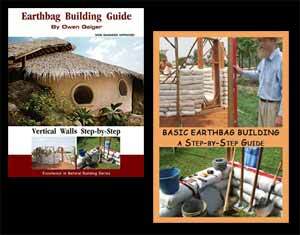 Some ideas interesting but a bit over the top – there can’t be many people on a dollar a day building an earthquake-resistant earthbag home, then putting in two dishwashers ? A glass ceiling to watch the stars is OK until it rains when you’re actually trying to sleep, and the racket wakes you up ? But thanks as usual for pointing us towards some lateral thinking ! Thanks for the comments. I’m sure lots of readers here make over a dollar day since our main audience is the US.